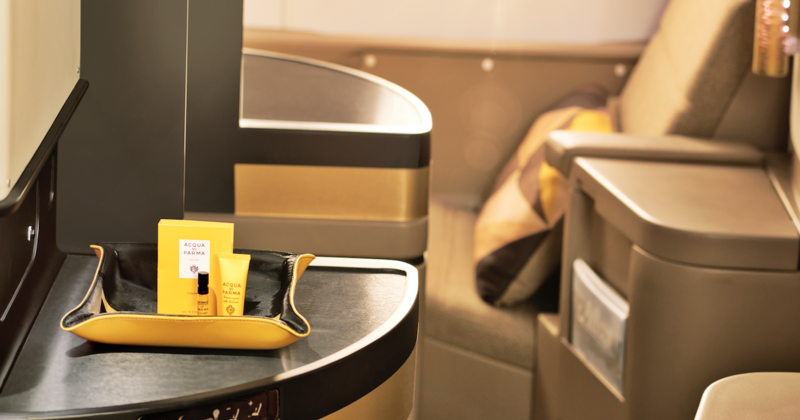 The Etihad Airways experience is about to get a little more luxurious, and smell a little sweeter. 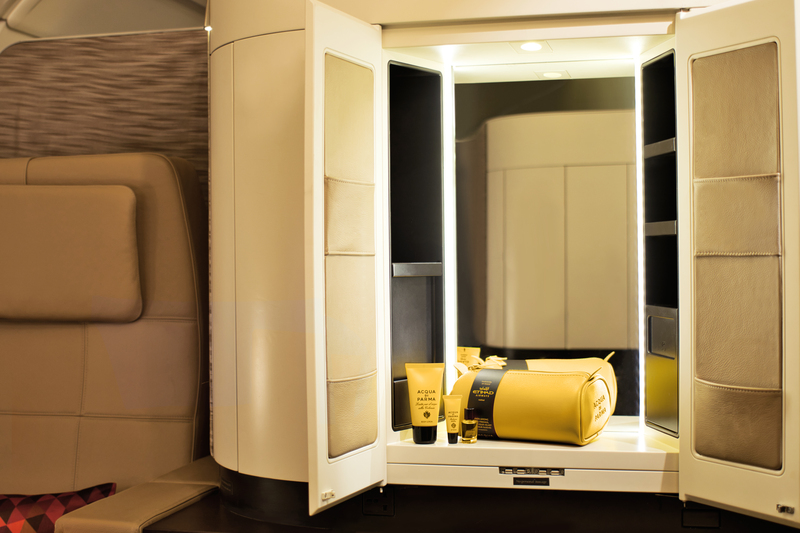 Beginning in August, the airline will introduce a range of amenity bags and toiletries created with Italian luxury fragrance brand Acqua di Parma for its customers traveling in The Residence on its Airbus A380s, and on long-haul first class and business class services. The iconic brand will also feature in the airline’s flagship First Class Lounge & Spa in Abu Dhabi. At an event to mark the deal, held in the St. Regis Hotel’s luxury Abu Dhabi Suite, guests saw the screening of a specially commissioned short film showcasing the partnership. 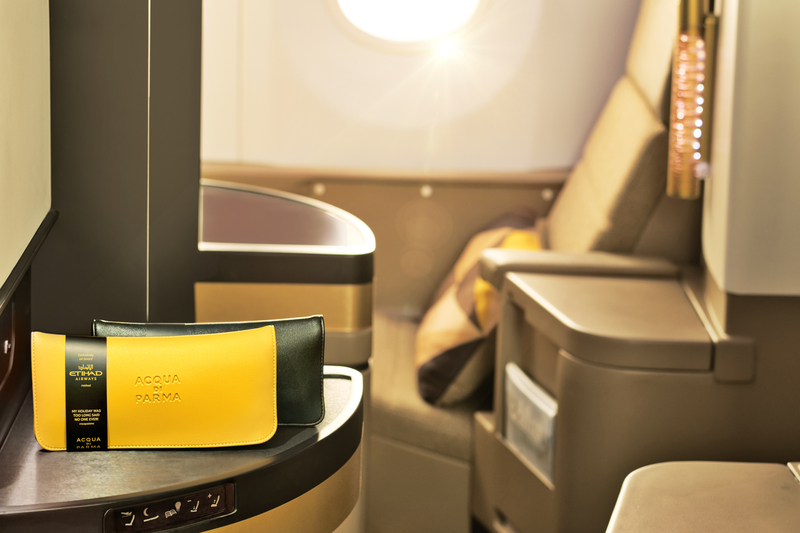 The film depicts a guest on an Etihad flight enjoying their business class seat, taking in the scent of Acqua di Parma’s famous Colonia fragrance and then being transported on a sensory journey to the landscapes of Italy.